As part of the Furry Friends Adoption, Clinic & Ranch, their annual fundraising efforts, Hang 20 was created and has become a local tradition. 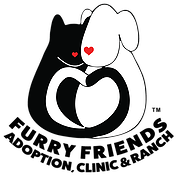 The event is held in November and the public is invited to come celebrate their furry friends and to support their local no kill shelter, dogs are invited too. For complete details visit Hang 20 Surf Dog Classic. The dog surfing competition benefits Furry Friends Adoption Clinic and Ranch. ​​Be sure to visit our​ ​Surf Dog Competitions ​page for contests all over the world!